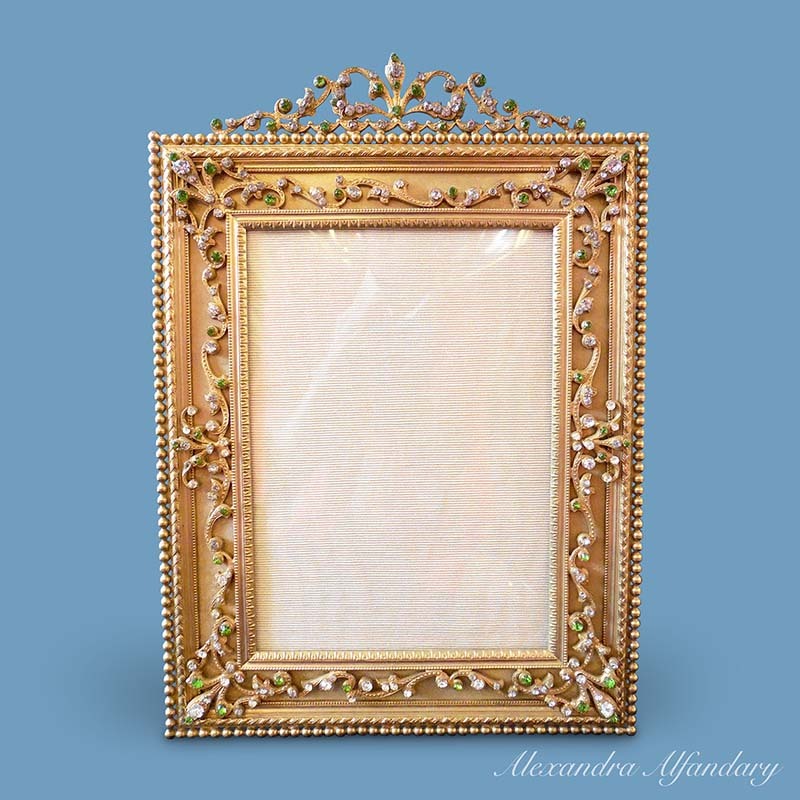 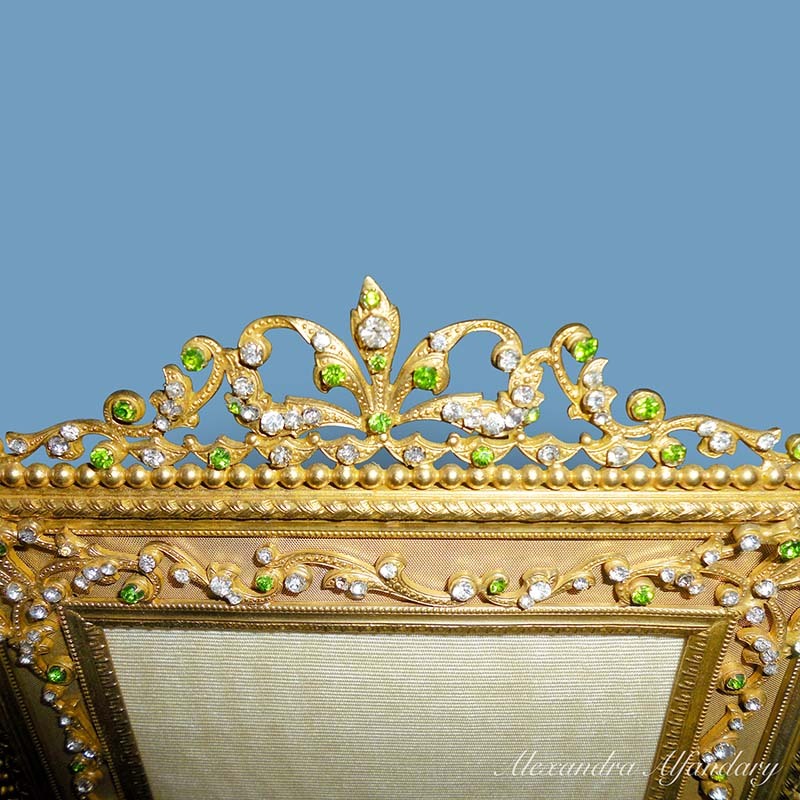 A worked gilt metal rectangular frame with applied gilt metal decoration. 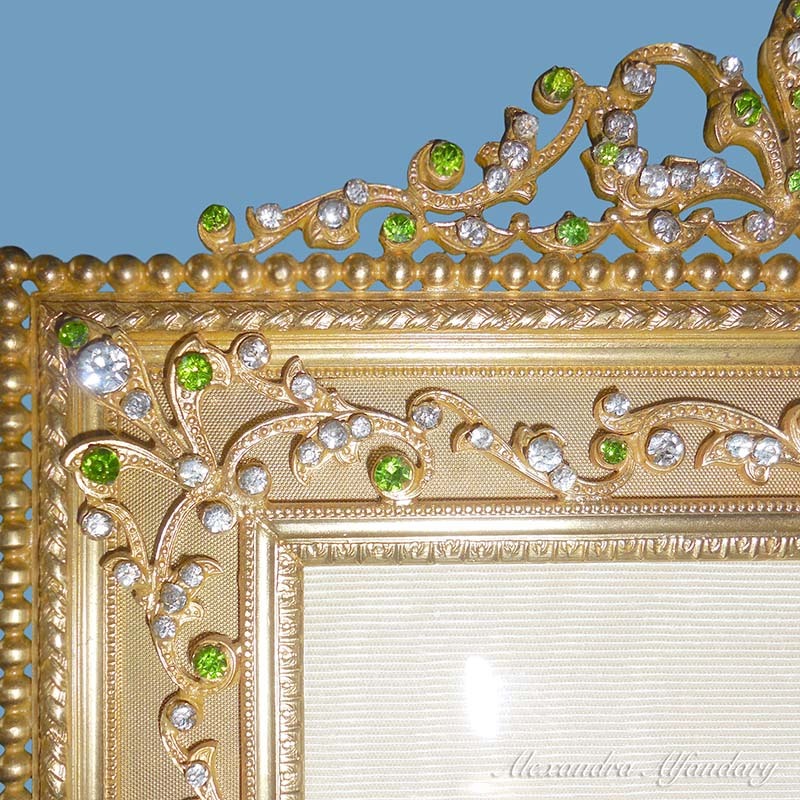 It is decorated with victorian green and clear paste stones. 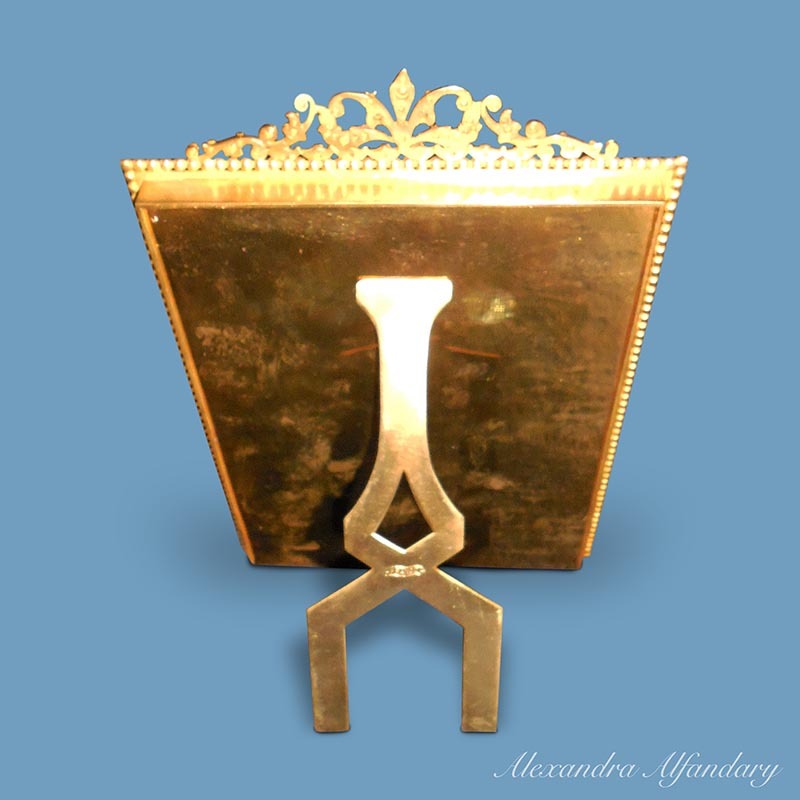 Foundry nark to back of stand, French c1900.